“Back in the day, when her career was just taking off following the release of All For You, Diana Krall, responding to criticism from the usual jazz mullahs about her credentials as a jazz singer, replied that she simply considered herself a working jazz musician. I was reminded of that remark after catching Holly Burke and her excellent band, the Naturals, in concert recently. An engaging singer, as well as an insightful songwriter and an accomplished jazz flautist, Ms. Burke performed two outstanding sets of jazz-infused songs featuring Ms. Burke’s original compositions, together with such classics as Chick Corea’s Spain and Joni Mitchell’s Woodstock. Perhaps the highlight of the evening was Ms. Burkes’ own composition, Serengeti, which evoked memories of Rahsaan Roland Kirk’s classic “I Talk With The Spirits” album. Ms. Burke was ably supported by her band, the Naturals, which features some of Vancouver’s top musicians: Bill Runge on woodwinds, Kristian Alexandrov on keyboards, Brent Gubbels on bass,and Randall Stoll on drums. It was a superb night of music. Holly Burke and the Naturals – very definitely worth catching if you get the chance. I recently sat down with local Jazz musician Holly Burke and talked with her about “Nature Girl” the debut LP by Holly Burke and the Naturals. Russell Scott – Holly Burke I understand your newest LP “Nature Girl” was inspired from a period of time you spent in Costa Rica. Tell me about your experience in Costa Rica and how it uniquely affected you and your music. Costa Rica is renowned for its biodiversity. My house was on the edge of 5000 acres of virgin rainforest on both sides of the continental divide. I co-existed with a vast array of fascinating colorful life forms…birds, monkeys, insects… I had my own pet Blue Morpho butterfly… As a composer I use my life experiences as the paint with which to color my art. Russell Scott – You’ve been in the music industry for a long time now. You’ve been playing since your were four, played in Paris at six, you’ve appeared on over 20 albums but “Nature Girl” is the debut for Holly Burke and the Naturals. Why now? Holly Burke – The timing was right. I was driven to make a deep personal statement. I reached out to Bill Runge for transcribing help on a tune and that has led to a most fruitful collaboration. His arranging and playing talents are all over the recording. We’re a very happy band really…Randall Stoll on drums, Brent Gubbels on bass, Kristian Alexandrov on piano, Nick Apivor on vibes…you can’t go wrong with a team like that. Russell Scott – Can I assume that you’re the “Nature Girl”? Holly Burke – You may. The rights and roles of women in the 21st century are still in great need of attention – hence “Nature Girl” rather than Nature Boy – the famous tune. Russell Scott – Is the interest in jazz music in decline? Holly Burke – No baby, it’s on the incline. Russell Scott – How so? Holly Burke – Firstly, jazz is a whole spectrum of music. There’s a lot of very different music that comes under the vast and ever expanding umbrella of “Jazz”. There’s something for everyone and there are a lot more players of jazz than ever before. Who wouldn’t want to have fun expressing themselves creatively with band mates, or in a solo? It’s a great adventure! There are statistically supported opportunities for jazz musicians to remain hopeful and pro-active. Especially if the product you have happens to touch a few different areas of the music. Russell Scott – You previously said you were “driven to make a deep personal statement” as your inspiration for “Nature Girl”. What is this deep personal statement? Holly Burke – I wanted to be able to express my true nature, as fully as possible, while I can, through the magical sensory life. As a mature woman who finds herself with an open road before her after parenting, that release, that sense of re-birth. I was a single parent for many, many years…when you’re in the middle of it all you can’t imagine a time when you’re not being a parent, or I couldn’t. My beautiful Son is established on his own now and we are free to share time and enjoy our mostly laughter filled relationship but without living together. It’s better! Another way to look at it I suppose is the music on Nature Girl is my response to Life, from all of my being. I don’t know why I have such a sense of urgency about playing music. Maybe it’s because I fear I won’t always be able to play music. There are other means of expression of course. VANCOUVER, Canada—Holly Burke is an accomplished musician, known for her magic on the flute and a voice to go with it. On Saturday afternoon she found the Shen Yun Performing Arts Orchestra a perfect accompaniment to the classically Chinese dancers on stage at Queen Elizabeth Theatre. “I like it a lot, very well-played,” she said. “Honestly, we went down to the pit before the show to see if we could see the musicians before the show; they weren’t there. They seemed to appear miraculously in the last two minutes and there they were. They played so beautifully, professionally, I thought it was impeccably played, lovely flute work, love the gong. I wish I had a gong in my band.” Shen Yun’s orchestra is a unique blend of classical Chinese instruments. Please join us in welcoming Ms. Holly Burke and her group, “The Naturals” direct from Vancouver BC. This concert is a fundraiser for the Youth-and-Mentors-in-Music bursary fund at Sylvan United Church. The bursary is made available to a graduating secondary student who continues their education in music or the arts. Leading Vancouver composer/lyricist/flutist/vocalist/pianist Holly Burke has been on the scene in Canada and the US for decades, quietly persisting to produce creative, texturally rich and evocative music that often transcends genre. Her music studies began at age four on the piano and her first performance was at age eight at the CBC in Paris. Holly’s credits include an International Broadcast Award from the Hollywood Radio and Television Society. She has performed on CBC TV and radio, NPR, CITR and at the San Diego Jazz Festival and the Vancouver Du Maurier Jazz Festival. Also an experienced actor, Holly has accrued many VO and TV credits including Special Unit 2, Cold Squad V1, The Dead Zone, and It’s a Girl Thing, with Mia Farrow. Holly has recorded on over twenty-five projects including working with Terry and Scott Jacks, Linton Garner and Clark Burroughs. Holly’s latest offering “Nature Girl” was conceived during a six-month sojourn in the Costa Rican rainforest where she gained a new appreciation for nature and all its wonders. This current offering combines elements of world beat, fusion jazz, avant-pop, ambient, and enigmatic forms that defy description. Some of her wide ranging musical influences include; Paul Horn, Diane Reeves, Hubert Laws, Claude Debussy, J.S.Bach, Betty Carter, Pat Metheny and Roland Kirk. The compositions include some moving lyric content, exciting and thoughtful improvised instrumental soloing and some infectious grooves combined with fresh harmonic content, thoughtful arrangements, brilliant performances by a crack band that includes some of Canada’s best musicians, pristine recording values, and a pervasive sense magic and mystery. Holly Burke has more than one talent. The Vancouver-based vocalist Holly Burke also plays the flute and percussion. Her genre-bending repertoire will be highlighted in a pair of shows in either end of Cowichan this weekend one in Mill Bay, the other in Crofton. Burke has been on the scene in Canada and the United States for decades, quietly producing creative, texturally rich and evocative music that often transcends the jazz idiom, according to her publicist. For her weekend in Cowichan, she will be backed up by a trio composed of pianist Dmitri Gritsaenko, a celebrated performer and educator; saxophonist Bill Runge, a mainstay of the Vancouver jazz scene; and sought-after bassist Brent Gubbels. Her promotional material states Burke’s influences range from Paul Horn and Diane Reeves to Debussy, Bach and even Roland Kirk. She will perform tunes from her latest CD, Nature Girl, which combines elements of world beat, fusion jazz, avant-pop, ambient and enigmatic forms that defy description. Saturday’s performance, a Church Mice Productions offering, is at the church at 985 Shawnigan Mill Bay Rd., at 7:30 p.m. Tickets are $15 at the door. For information, call 250-743-4301. 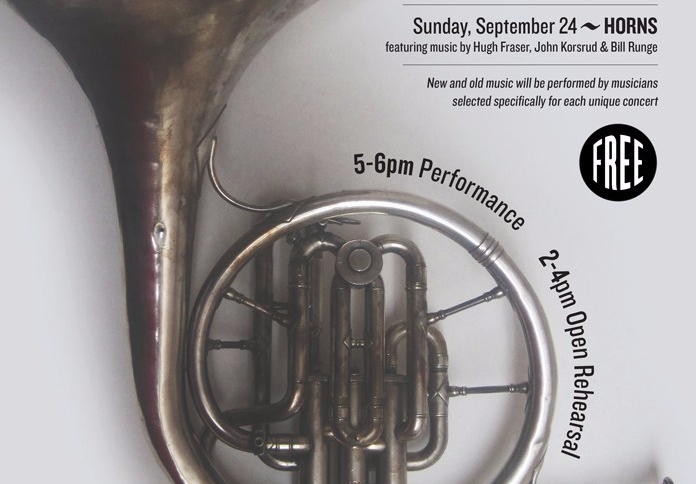 The Sunday performance is part of the Jazz at Crofton series, which runs every Sunday from 2 to 5 p.m. at the pub, 1534 Joan Ave. in Crofton, a stone’s throw from the Salt Spring Island ferry terminal. Admission is $10. For information, call 250-324-2245.